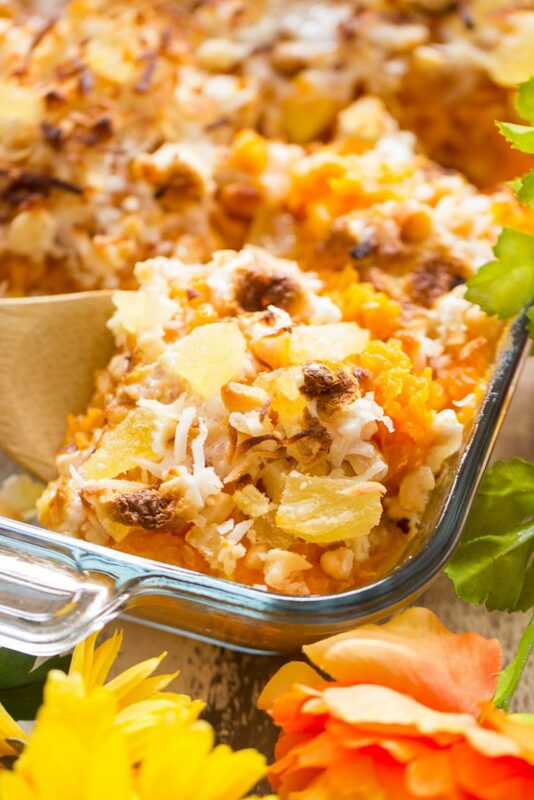 A summertime spin on a classic, this Tropical Sweet Potato Casserole is sweetened with brown sugar and orange marmalade, brightened with orange zest and fresh pineapple chunks, and then topped with a pineapple-coconut-macadamia streusel. 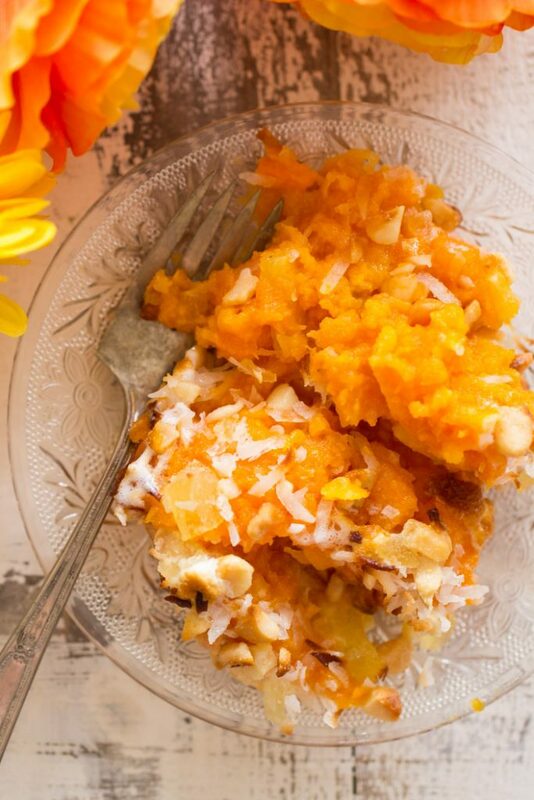 You’ll be craving this Tropical Sweet Potato Casserole long after summer is over! 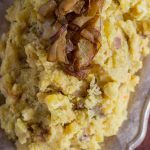 In the fall, I earmarked a few unique sweet potato casserole recipes that were very tropical in nature. The ingredients varied quite a bit between recipes, but had an overall tropical theme, things like citrus and coconut. 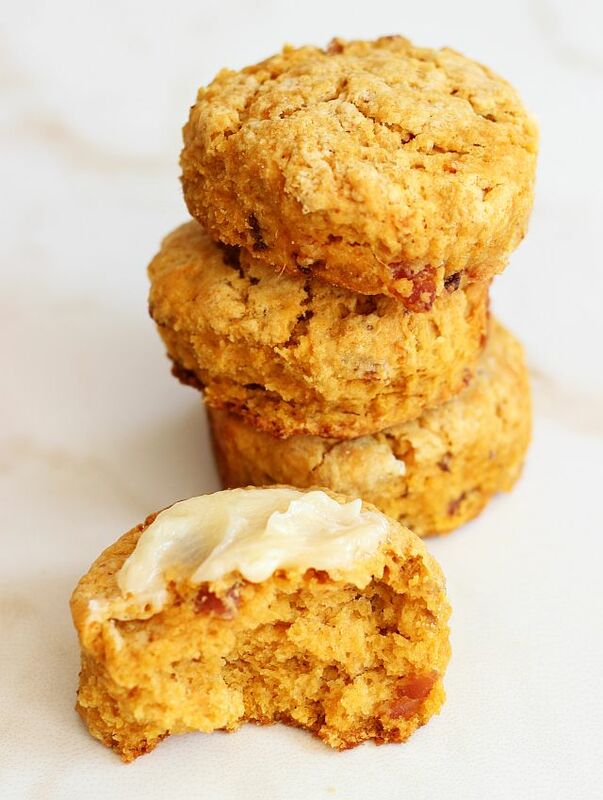 With the opportunity to work with LouAna Coconut Oil, I decided that this is the perfect time to present that recipe. 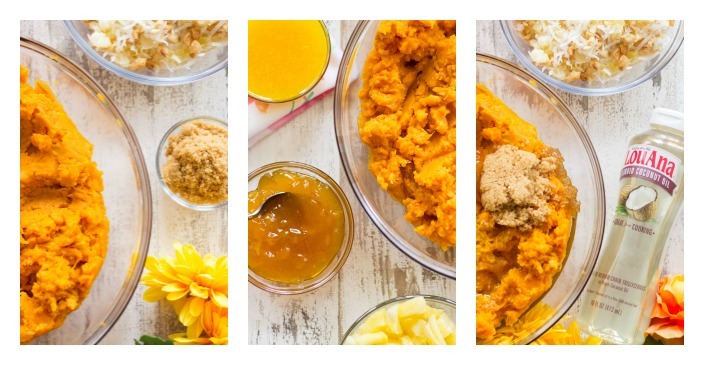 I resolved to combine all the elements that I loved about those recipes into one super-powered, completely awesome, unequivocally fabulous, ultimate sweet potato casserole recipe, but for summer! That’s what summer is missing, I realized. 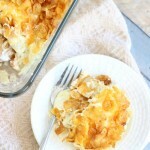 Now we have this Tropical Sweet Potato Casserole = yay! 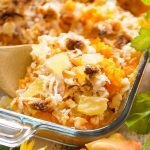 A sweet potato casserole is one of my favorite holiday dishes, but it has a time and place for the rest of the year too, and that time and place is in the form of this Tropical Sweet Potato Casserole. You can definitely take this to summer BBQs and picnics, and people will go crazy for it. Such a different twist on a classic dish. 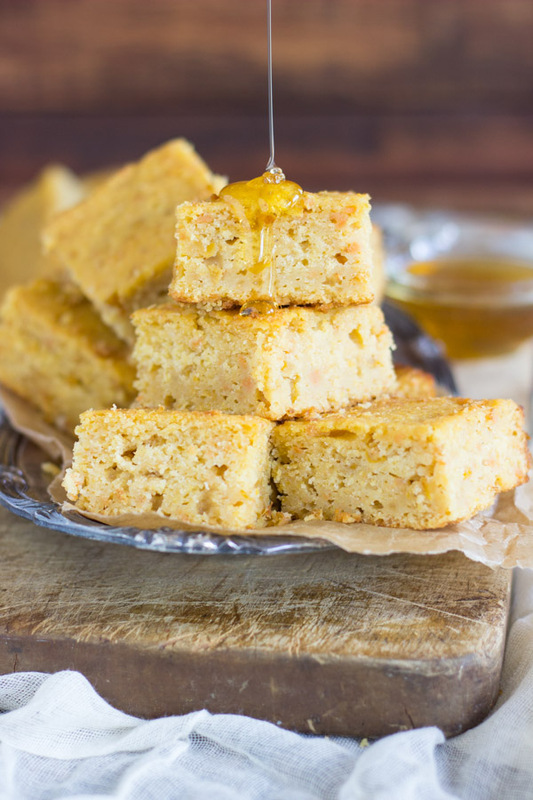 It’s sweetened with brown sugar and orange marmalade, and then I added orange juice and zest for an extra punch of vibrant citrus. Fresh chunks of pineapple add another touch of sweetness, and give it a tropical vibe. 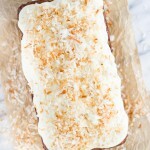 Coming out of the oven, my kitchen exploded with the fragrance of citrus, coconut, and toasted nuts – it was so lovely. My favorite part is the streusel on top. 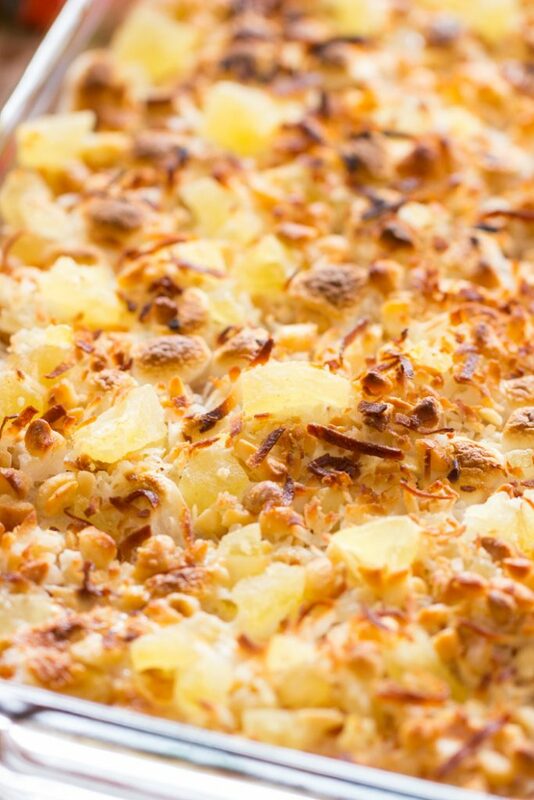 It’s a combo of shredded coconut, chopped macadamia nuts, and dried pineapple. You’ll want to snack on it like trail mix, and that’s totally acceptable, but save some for the casserole! I couldn’t leave out just a few mini marshmallows. 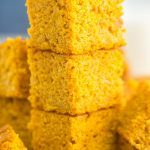 No sweet potato casserole recipe is complete without them. I didn’t go overboard to avoid stealing thunder from that amazing pineapple-coconut-macadamia streusel, but I had to include a few. Instead of butter to make these potatoes smooth, rich, and creamy, I added coconut oil instead. This ingredient is key! I really like the LouAna Coconut Oil because it’s very mild in flavor. You could cook anything with it, and it’s not going to pick up a lot of coconut flavor. 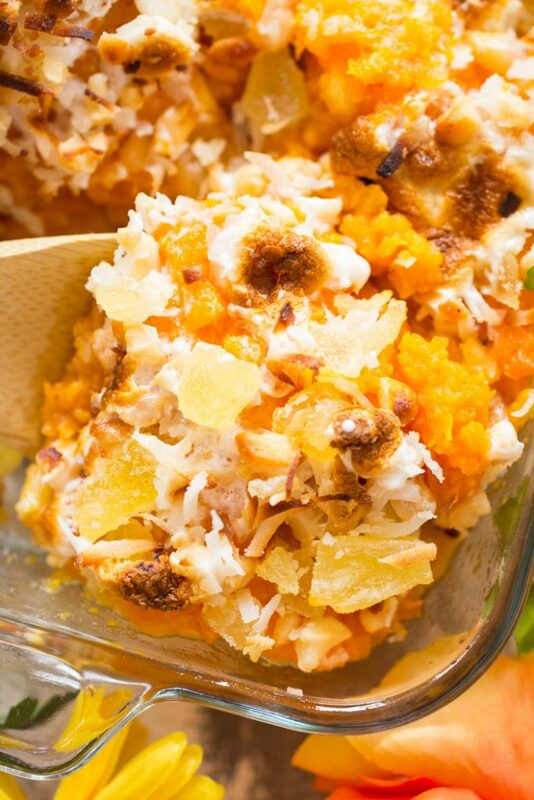 I like that it adds a hint, and that’s what I was going for with this Tropical Sweet Potato Casserole…. it enhanced the other flavors. However, if I’m cooking dinner or something savory, I don’t necessarily want everything to be emanating a coconut taste. The LouAna Coconut Oil is the perfect balance. I found it easily at Publix. I really like that it’s in liquid form because it drizzles easily. 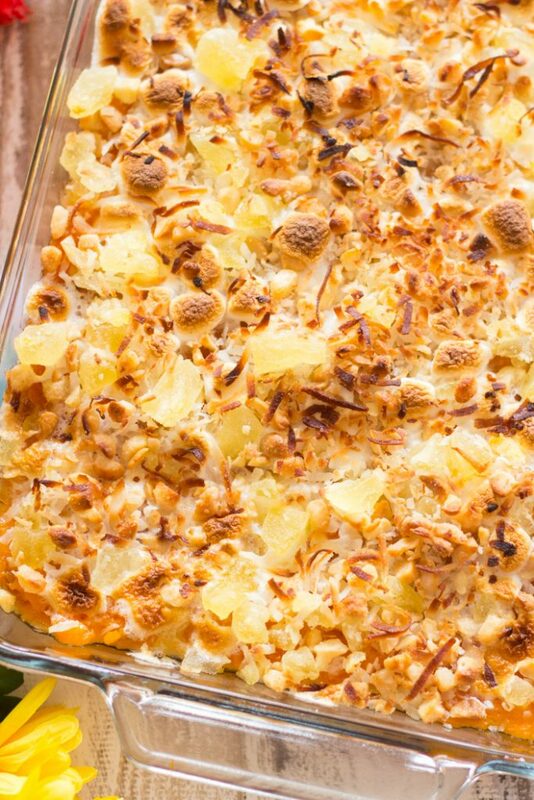 I mixed in a bit of coconut oil with the potatoes so they’d be rich and creamy, and then I drizzled it on top while this casserole baked so that the potatoes stayed soft and smooth. 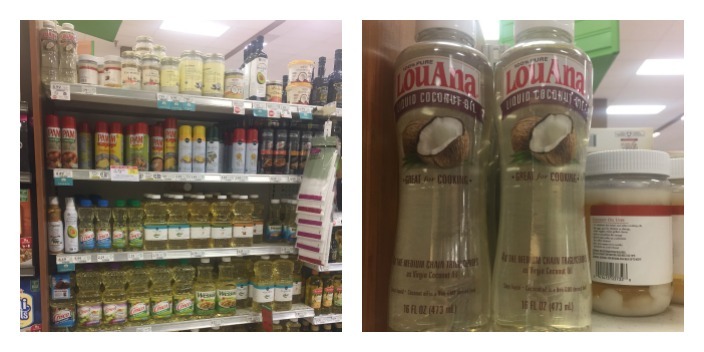 Have you tried LouAna Coconut Oil? We’ve been using this brand for a while, but I didn’t know much about the company or its background. LouAna was born in Opelousas, Louisiana in 1820, and it was a place where food was an expression of love, flavor, and family. That sentiment comes through with their quality products. LouAna’s been crafting trusted cooking oils for over 120 years. They have over 14 different types of cooking oil, so LouAna has the perfect oil for all of your kitchen needs whether its sautéing, deep frying, roasting, or baking. They sell more coconut oil than any other brand, and it’s because they’ve been producing the best cooking oils in the country for over 120 years. They know what they’re doing! 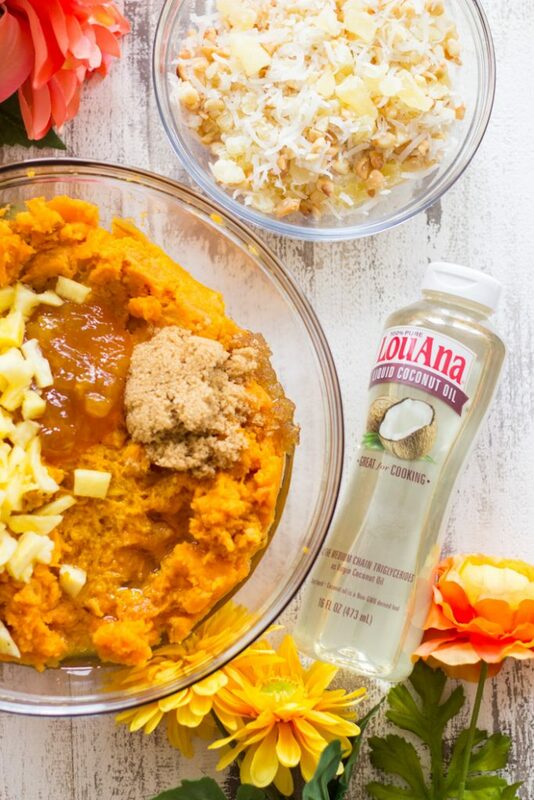 This Tropical Sweet Potato Casserole wouldn’t be quite the same without the addition of LouAna Coconut Oil as an ingredient. 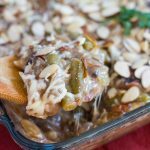 Make sure this casserole gets a spot on the menu the next time you’re going to a BBQ or picnic this summer! A summertime spin on the classic, you'll be craving this long after summer is over! 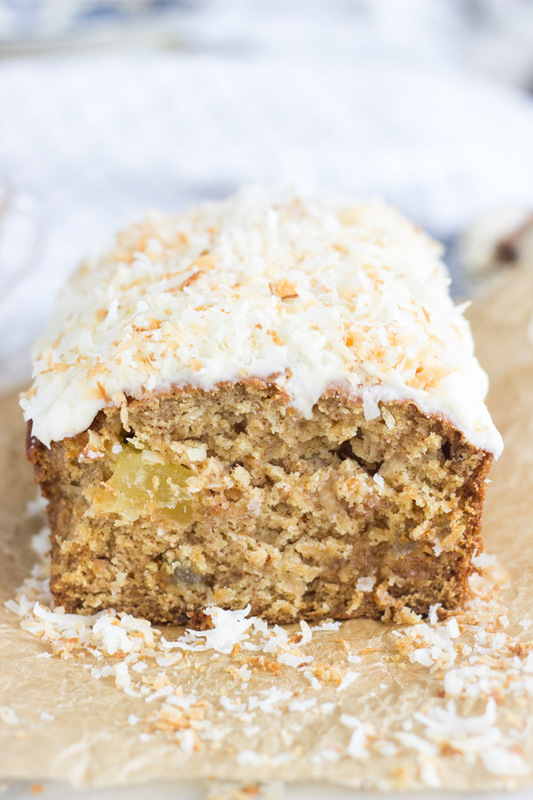 It's sweetened with brown sugar and orange marmalade, brightened with orange zest and fresh pineapple chunks, and then topped with a pineapple-coconut-macadamia streusel. Place sweet potatoes in a large stock pot, and fill it with water. Bring to a boil over medium-high heat, and cook potatoes until soft when pricked with a fork, about 15 minutes. Drain potatoes, and mash - either by hand or with a hand-masher (I mashed by hand). 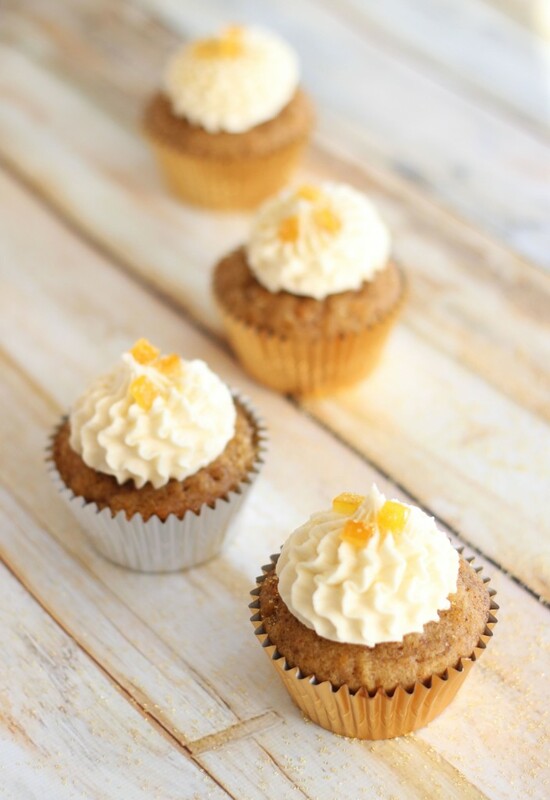 Stir in orange zest and juice, marmalade, brown sugar, pineapple, 1/4 c. coconut oil, vanilla, and egg whites. Spread mashed potato mixture into the bottom of a 9x13-inch baking dish. Drizzle with remaining 1 tbsp. coconut oil. Meanwhile, in a small bowl, toss together macadamia nuts, coconut, and dried pineapple. Remove casserole from heat. Sprinkle with mini marshmallows, then coconut mixture. Return to oven for about 5 minutes, or until marshmallows are golden and melty, and coconut is toasted. To find LouAna products near you, check the store finder! 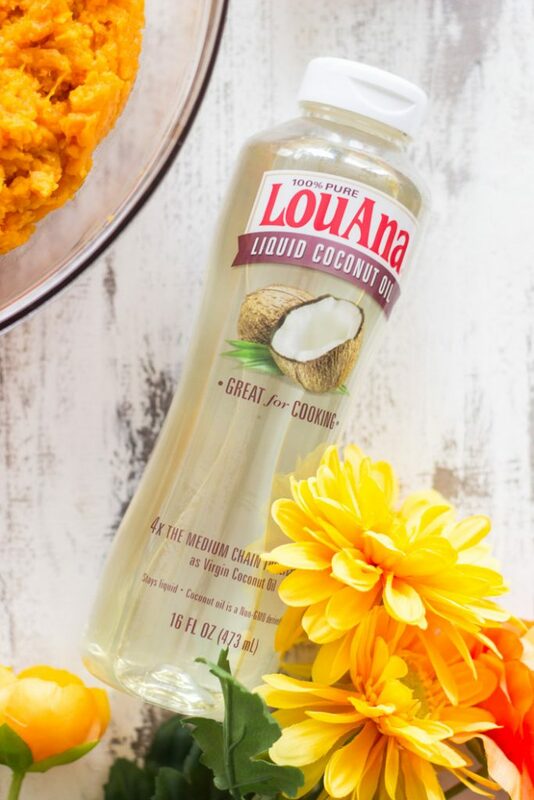 And to save $1 on any LouAna Coconut Oil purchase, there’s a coupon here! 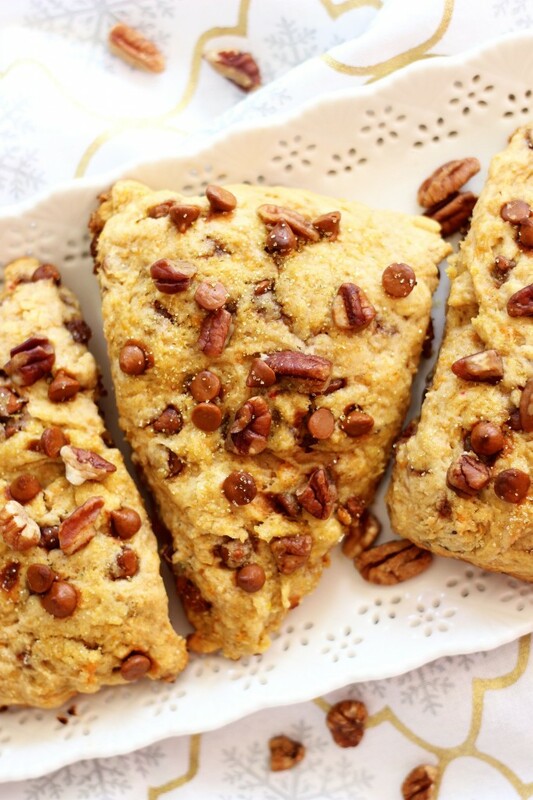 You may also like these sweet potato recipes!